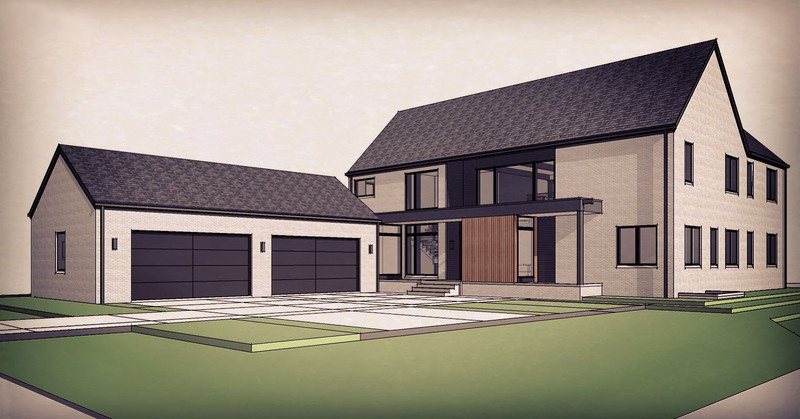 New Colonial Modern home to break ground this summer 2017 in Towne Oak Estates, Carmel just north of Coxhill Gardens. We have made efforts to stay within the spirit of the neighborhood covenants while offering our clients a touch of modern sophistication reflecting their personal tastes. Front elevation is highlighted by a modern entry featuring wood-clad Puja/home office. We will have the project page up-and-running soon, so please check back for updates – and a Vastu to you!